Our newly upgraded Photo Station is a an exciting party station. We now offer both enclosed booths and our popular open photobooth (no walls), so we can accommodate small groups as well as large groups of guests. 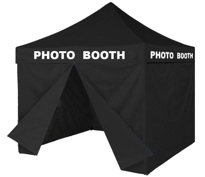 We've designed it to shoot and print 2"x6" and 4"x6" photobooth pictures, 8"x12" enlargements and mini movie flip books (Note: flip books are only available with the open photo booth option). Perfect for parties, wedding receptions, quinceaneras, birthdays, family reunions, corporate events, school functions, etc. When you book our Photo Station as a photobooth, we'll take 3 or 4 pictures and then make a 2"x6" or 4"x6" print in under a minute. 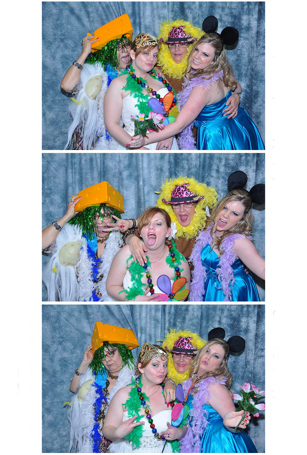 Your guests will enjoy unlimited visits to the photobooth during the allotted time frame. Plus, 8"x12" enlargements can be added as a guest pay option if you'd like these services available to your guests. When you book our Photo Station as a Flip Book booth, we'll record a 6 second mini movie and print a Flip Book onsite. We print one book per person in the flipbook. 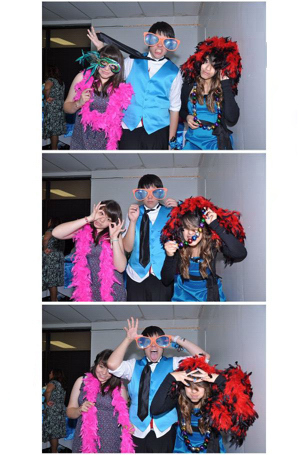 Includes our open photobooth service, so your guests can get a photobooth picture or a Flip Book or both! Plus 8"x12" enlargements of the photobooth pictures can be added as a guest pay option if you'd like this service available to your guests. Click here for more information or to see if the Photo Station is available on your day . . .
Click the "Play" button to see some of the fun! Flip Book & Photobooth Fun! Click the play button. Flipbook & Photo Booth Fun! Click the play button. We come to your event and set up the "booth" or the "station". The station consists of a backdrop, camera, monitor, computer and printer. We bring props or we can use your themed props. The prints can be customized with text and/or graphics. 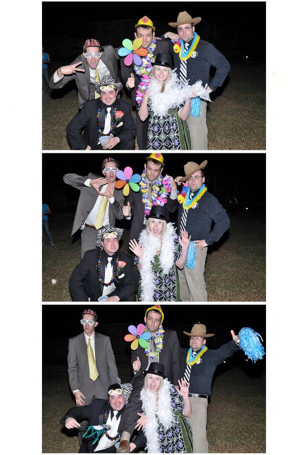 - In photobooth mode, we take 3 or 4 pictures and make a 2"x6" or 4"x6" print, all in less than a minute. - In Flip Book mode, we record a 6 second mini movie and print the Flip Book onsite.